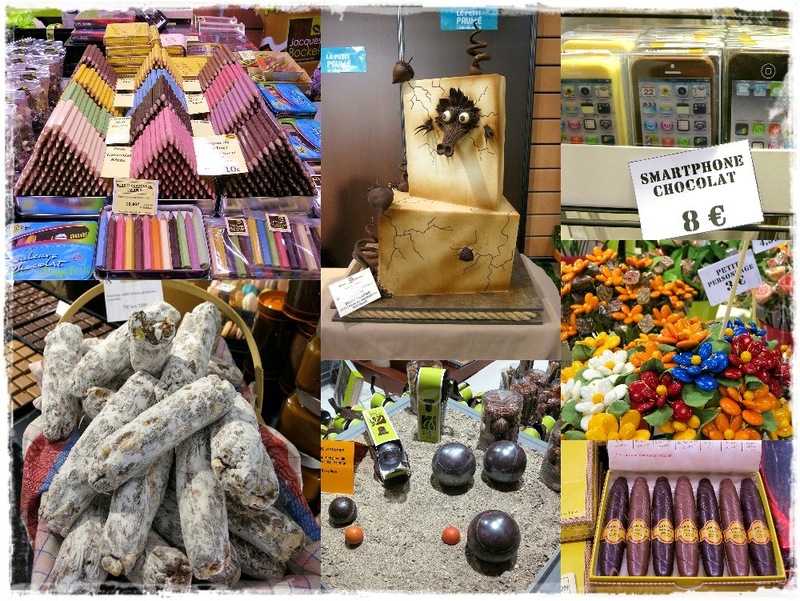 My husband and I made a recent visit to to Lyon that coincided with the Salon du Chocolat. 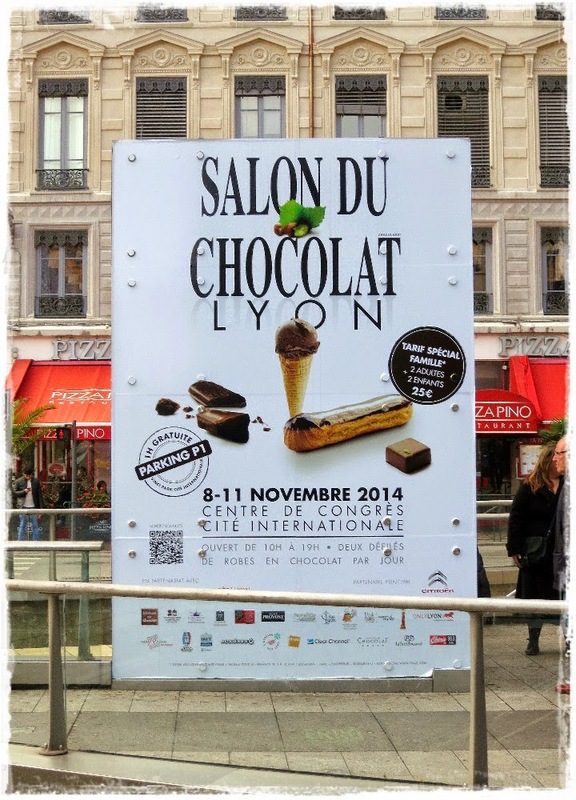 There is a Salon du Chocolat in Paris earlier in October/November and this one in Lyon a week later. I've been to the one in Paris which is much bigger, but this one in Lyon is certainly big enough and worth every calorie of the ticket price. Everyone wants to give you a free sample—chocolate lover heaven. 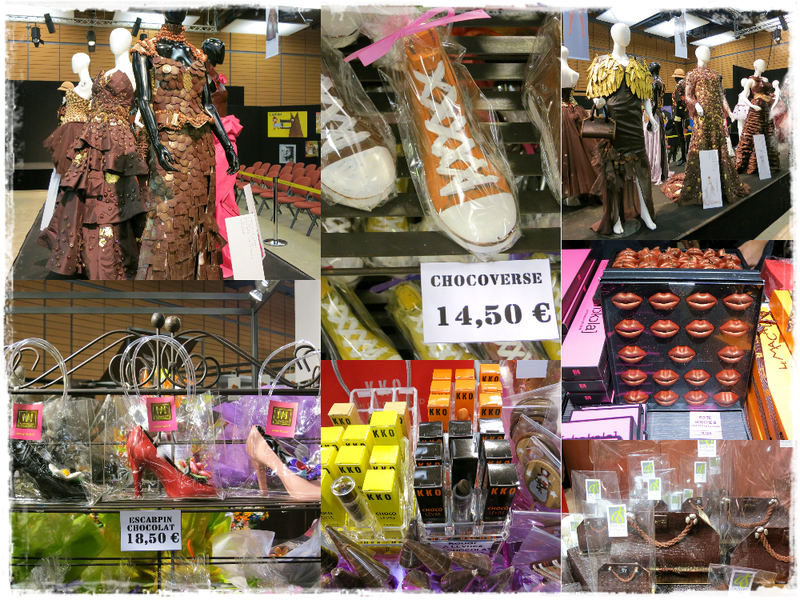 Chocolate has literally been fashioned into everything here...including dresses. There is a fashion show and the models wear dresses created with real, edible chocolate. You can watch a video of the Paris chocolate fashion show here. Chocolate style continues in dressy pumps or casual chocoverse. There are even chocolate lipsticks and chocolate handbags to put them in. These red chocolate kisses are far removed from the silver wrapped ones I grew up with. There were chocolate pencils (I loved these! ), chocolate sculptures, chocolate smartphones, chocolate sausages and chocolate petanque balls that looked so real you were more inclined to toss them than eat them. Not to mention the flowers, there were all sorts of those almost (almost) too pretty to eat. Even chocolate cigars—safe for you lungs, but not your waistline. These chocolate CDs were tasty and easy to mail. The chocolate birthday cake (the Salon was celebrating 20 years of existence) was about 4 feet high. I loved the sculpted tree and elephant. 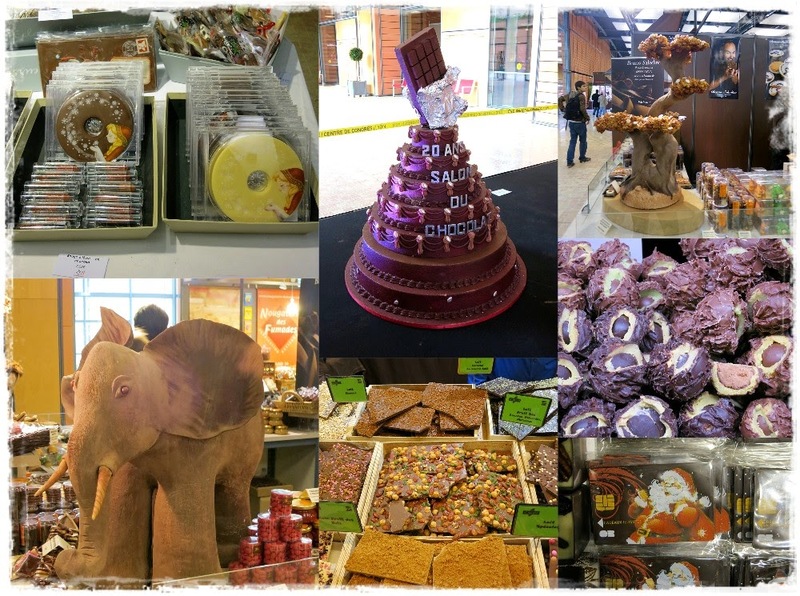 There was a sign near the elephant saying it was made with solid chocolate and weighed 77 kilos (about 169 pounds). There were all sorts of flavors; some were rather exotic. These chocolate chestnuts looked like the real thing, with no need to peel. The chocolate credit card in the bottom right corner was so cute I had to buy one. Oh my! I think I'd need to eat my way out of that place. Shoe chocolate sneakers were fantastic!